放假了，我去外婆家。I go to my grandmother’s house for vacation. 買了青菜，買了瓜，My grandmother bought green vegetables and bought melons. 買了水果，買了花。My grandmother bought fruits and bought flowers. 哇！還買了點心和奶茶Wow! My grandmother also bought desserts and bubble tea. 我在雨中走，I walk in the rain. 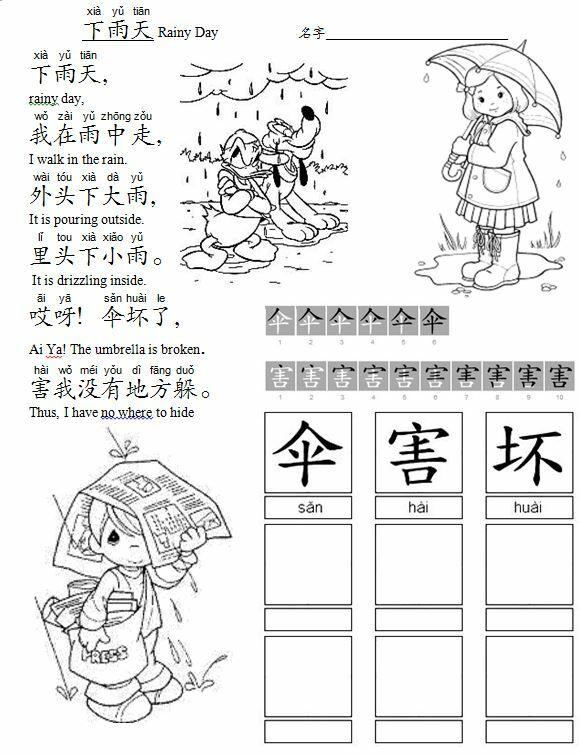 裡頭下小雨。 It is drizzling inside. 哎呀！傘壞了，Ai Ya! The umbrella is broken. 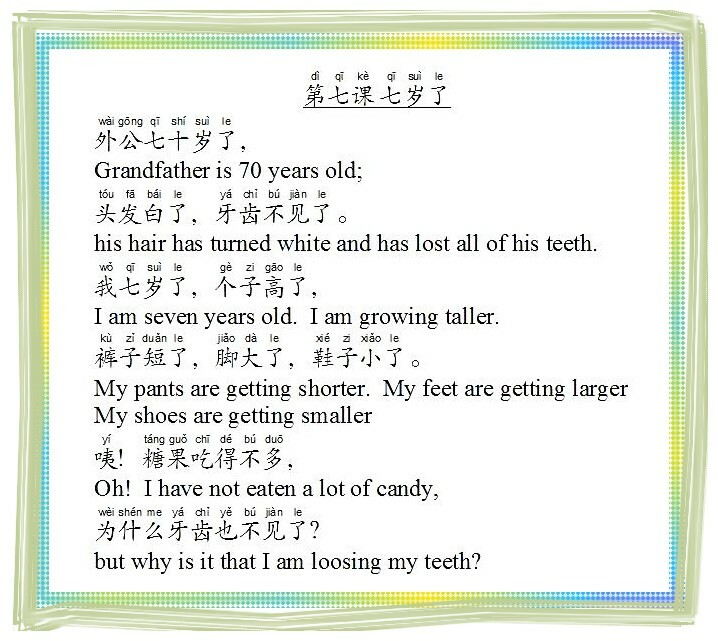 外公七十歲了，頭髮白了，牙齒不見了。Grandfather is 70 years old; his hair has turned white and has lost all of his teeth. 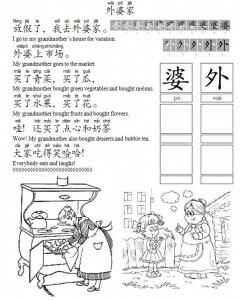 我七歲了，個子高了，褲子短了，I am seven years old. I am growing taller. My pants are getting shorter. 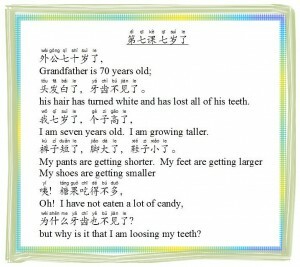 為什麼牙齒也不見了？but why is it that I am loosing my teeth? Be careful crossing the road. Stop, look left and right. Red light, do not walk. Green light, hurry and cross/ hurry across. 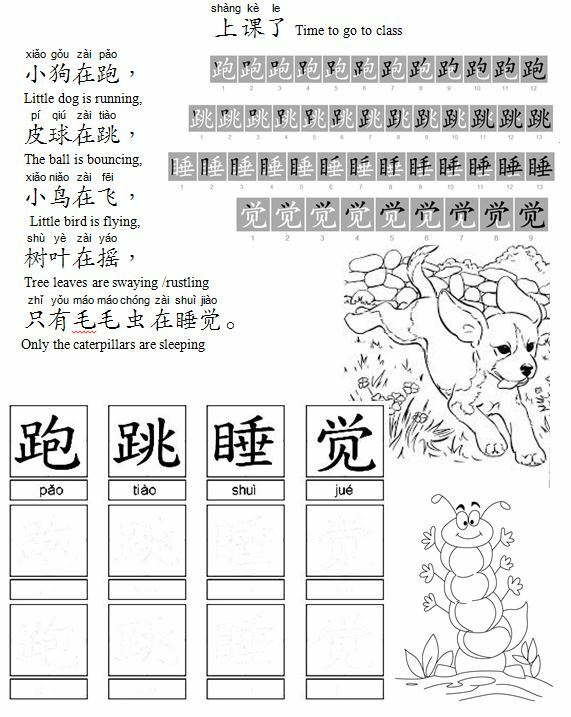 打字打得快又好。 Type words fast and well. 晚上吃得少， Eat little at night. 睡覺睡得甜又飽。 Sleep sweetly and contently. 馬路上有很多腳印，There are many footprints on the road. 有的腳印新，There are many footprints on the road. 都是前進的腳印。But all are moving forward. 沙灘上有很多腳印，On the beach there are many footprints. 喂喂喂！打電話，請問外婆在不在？ Hello? Hello? Excuse me is grandmother there? 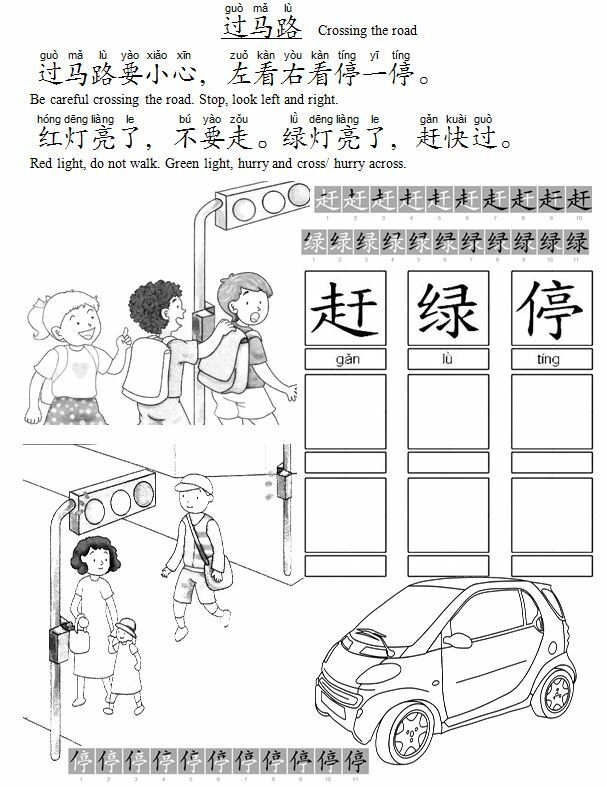 對不起，她不在！ Sorry she is not here. 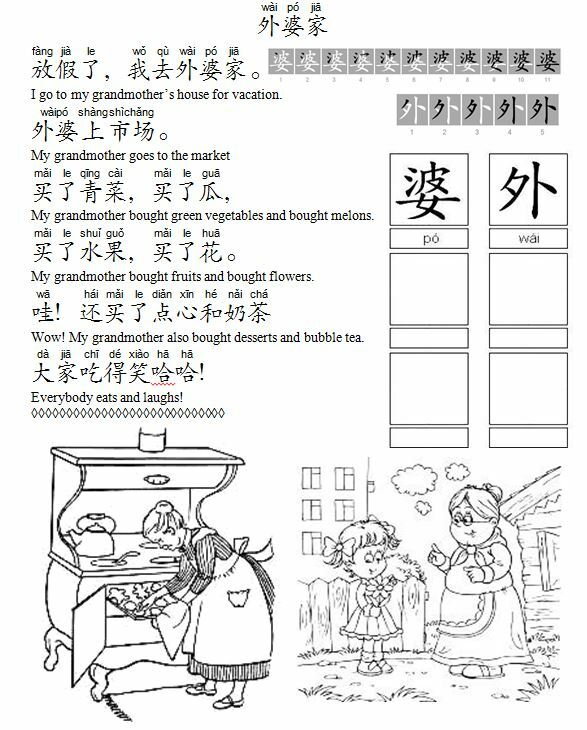 誰的點心在桌上？Whose dessert is on the table? 姐姐說，不是她的。Elder sister says it’s not hers. 弟弟也說，不是他的。Younger brother also says it’s not his. 我來吃吃看！Let me try it out.